Submit Your Contact Information & Receive a complimentary 10% Off Coupon Code you Can use on your next purchase! All of our puzzles are now designed and created with the illustrator software Corel Draw. With this new design method, we are able to enhance our theme puzzles by enriching the character details of each puzzle. We also have designed 20 new theme puzzles that I know your children will enjoy playing with. These new theme puzzles are as follows: Monkey, Panda Bear, Elephant, Hippo, Forest Animals, Owl, Dolphins, Sea Fish, Sports Bike Motorcycle, Construction Excavator Digger, 18 Wheeler Semi Truck, Police Car, School Bus, Frogs, Horse, New Ballerina Bear, and 5 Sports Puzzles. 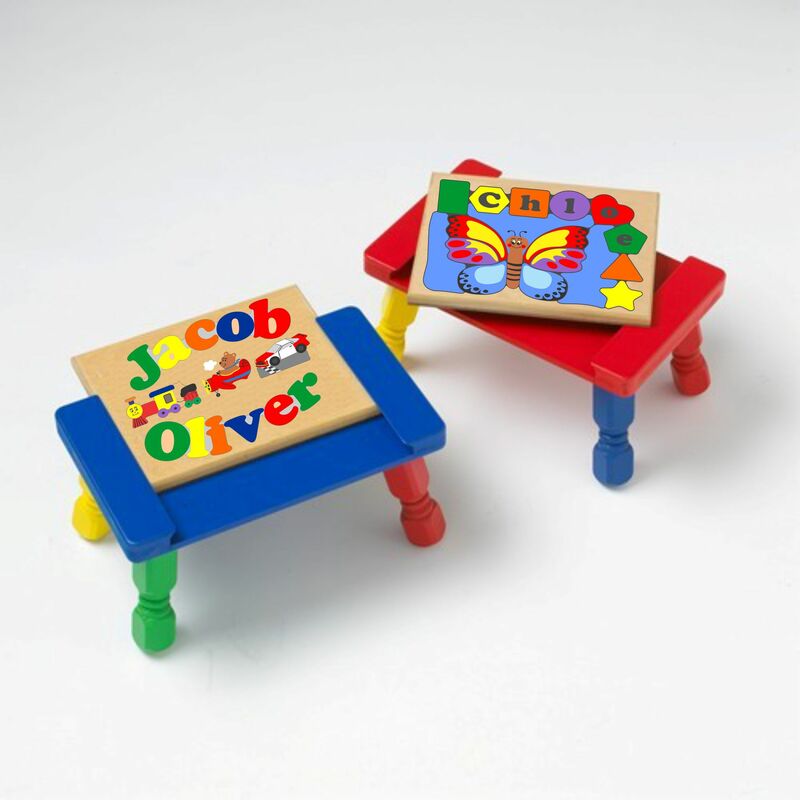 In the past, these theme puzzles and step stools have appeared on TV talk shows, such as The Fox and Friends Christmas Special, and discussed on many radio programs. 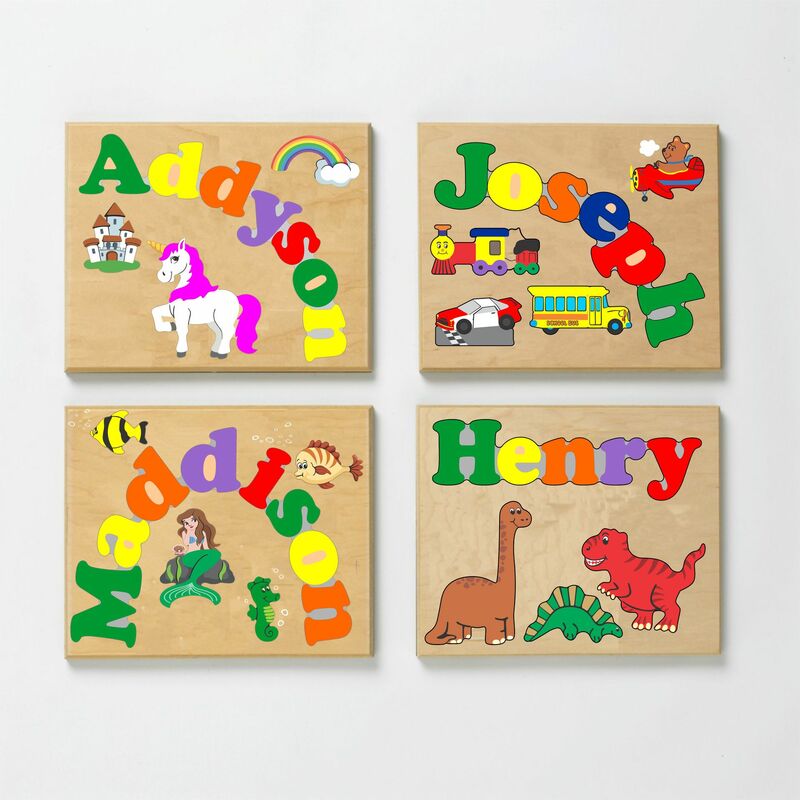 But most importantly, they are Made in America by my family and have captured the hearts and minds of preschool children and toddlers throughout North America. With every order, you receive FREE Personalization, FREE Gift Card and FREE Shipping! !